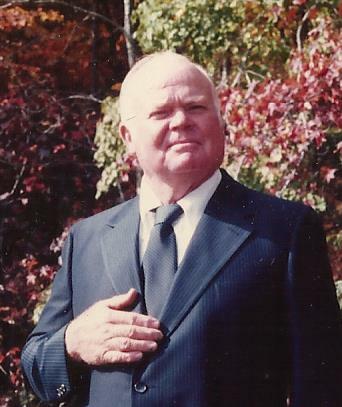 Fred Lee Herzig, age 91, of Jetersville, VA, formerly of Meherrin, VA, passed away on Saturday, February 3, 2018. He was preceded in death by his wife of forty-six years Gertrude “Trudy” Toombs Herzig. Fred is survived by his wife, Lydia F. Herzig; four children, Donald Ernest Herzig, Sabrina H. Powell, Rhonda H. Brankley, and Dixie H. Calhoun; four step-children, Michael G. Farnsworth, Virginia Marie Hartman, Wesley E. Farnsworth, and Arlene F. Stevens; sixteen grandchildren; nineteen great-grandchildren; and one sister, Louise H. DuVal. He was a World War II Navy Veteran, a retired Conductor from Norfolk & Southern Railroad, and served twelve years on the Meherrin Volunteer Fire & Rescue. A funeral service will be held at 2 p.m., Tuesday, February 6, 2018, in the Meherrin United Methodist Church, with interment to follow in the church cemetery. The family will receive friends at the Browning-Duffer Funeral Home in Keysville, on Monday, February 5, 2018, from 7 to 8:30 p.m. In lieu of flowers contributions may be made to the Meherrin Volunteer Fire & Rescue or the Alzheimer’s Association. The Browning-Duffer Funeral Home in Keysville, VA, is in charge of arrangements.